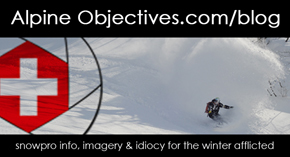 Summary: Everyone wishes they could ride their skis or snowboard with the agility of a ninja. Maybe a visit to the Ninja Museum of Igaryu in the Kansai region of central Honshu, Japan, will give you the inspiration to shred like a shadow warrior. If you think it`s cliché to be infatuated with Ninjas, you might be right. But legends of stealthy, black-clad assassins flipping from roof-top to roof-top are one of the most iconic cultural exports from Japan into mainstream Western imaginations. With a background defined by espionage and secrecy, much of Ninja history is a bit hazy for scholars. But practitioners of Ninjitsu during Japan`s feudal era up until the turn of the 20th-century undoubtedly contributed to shaping the socio-political history of Asia. Two locations around 2-hours East of Osaka — Koka, Shiga prefecture & Iga, Mie prefecture — are considered the most significant areas in Japan with traceable roots to Ninja ancestry. Atop a hillside over-looking the old castle town of Iga-Ueno in the shadow of beautifully reconstructed Ueno Castle (16th century), is where you`ll find one of the tributes to ninja fact & folklore, the Ninja Museum of Igaryu. The Igaryu ninja museum isn`t a blockbuster Disneyland-style destination, nor is it actually very close to Japow destinations in Nagano or Niigata. 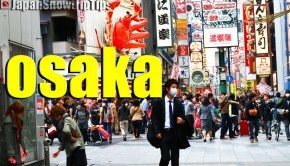 However, if you`re utilizing Osaka or Nara as a short-stay base for your international flight to/from Kansai International Airport (KIX) before or after your snowtrip adventures, a half-day excursion off the tourist track to Iga is a unique, slow-paced cultural journey worth making. You`ll probably see a few cheesy re-enactor mascots wandering the site in multi-colored ninja gear, but these rainbow (non)warriors actually add a bit of fun to the environment. After paying the low entry fee (¥700) you can follow along on a short guided tour of a reconstructed ninja house with trap-doors and secret passages. 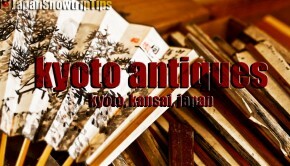 A bit of Japanese would be helpful as an English tour wasn`t offered, but we love that “smile, nod and make new friends” kind of Japanese stuff. If your timing is right (and for small added fees), you`ll also be able to watch weapons exhibitions and maybe even participate in a hands-on weapons technique tutorial with the chance to fling a few throwing stars. Otherwise, your self-guided walk through the small museum harboring artifacts, photos, diagrams and written descriptions of ninja history (with English translations) will let you trace the footsteps of Japan`s mythical ninja clans who clandestinely trained near-by for centuries. You can easily reach the Ninja Museum of Igaryu (Ueno Park) utilizing your JR Pass from major Kansai cities, Osaka, Kyoto or Nara. After arrival at Iga-Ueno Station (not Ueno Station in Tokyo) either walk for 35 min. to Ueno Park or take the Iga Railway line for approximately 7 minutes to Ueno-shi Station at the foot of the castle closer to the museum entrance (additional cost for Iga rail line approx. ¥250). 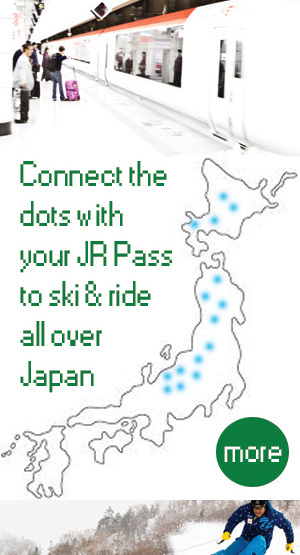 Listed below are the multi-stage rail transport options with travel times and changes required for accessing the Ninja Museum of Igaryu from Kansai`s main urban hubs. Snowtrip Tip 1: Be quick like a Ninja…find a seat on the train. The train ride originating in Kamo that winds its way into the once secluded mountain valleys of Iga is a special one. The train is a silver-&-purple-colored single-car that evokes a sense of nostalgia (and curiosity), but only provides limited seating for passengers. Without being pushy or rude — especially to elderly passengers in need of seats — we recommend attempting to secure seats as soon as possible. The little single cabin train makes a few stops along the way from Kamo to Iga-Ueno so if you don`t have a seat immediately upon departure, there`s a chance you`ll be able to find one later in the journey. However, the train ride is long enough that standing the entire time would be uncomfortable. Snowtrip Tip 2: Be patient like a Ninja…allow enough time to casually enjoy the cultural excursion. The museum itself will not take up much of your time (1 to 1.5 hrs), but as you`ll probably be staying in one of the main Kansai cities nearly 2 hours away by train you`ll need approximately 6-hours total to complete the round-trip. Within those six hours you`ll experience one of the most unique train rides of your life, wander the streets of what was one of the great castle-towns of feudal Japan, tour the grounds of wonderfully re-constructed Ueno Castle for free (interior tours for a fee), visit the Ninja Museum, browse the gift shop and probably grab a little something to snack-on before heading back to your base in lively Osaka, intriguing Kyoto or peaceful Nara. Snowtrip Tip 3: Be humble like a Ninja…appreciate the experience solely for the experience. 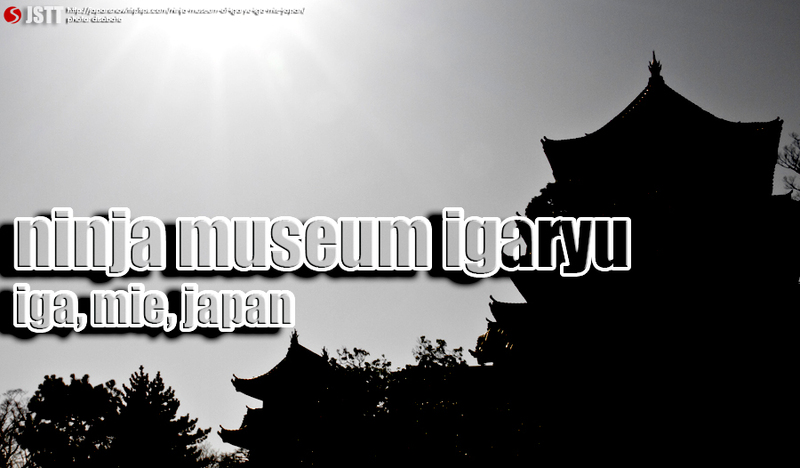 In reality, the Ninja Museum of Igaryu is actually a side-note to the excursion. 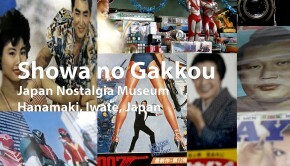 We highly recommend making the journey to Iga, but don`t get your hopes up for a life-changing museum experience. The real memories we built came from the quirky single-car train ride, unhurried (and uncrowded) stroll around the beautifully maintained castle grounds and broader understanding that we were visitors in a place that played an interesting & significant historic role in Japanese culture. Snowtrip Tip 4: Be agile like a Ninja warrior…but strong like a sumo wrestler. A sidetrip to the Ninja Museum Igaryu is a great, off-the-beaten path excursion in the Kansai region. But if you`re skiing or snowboarding adventure in Japan has you sliding through Osaka before or after submerging in Japow during March, you`ll definitely want to secure tickets for one of the country`s top sporting events, the Grand Sumo Tournament. 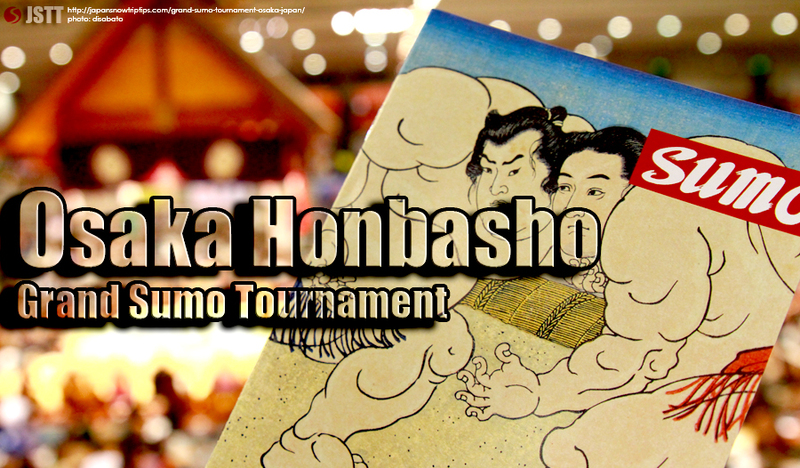 To help get you moving toward your seats to one of Japan`s top sportive & cultural exhibitions, check out our helpful Osaka Grand Sumo Tournament info.